BRANDON, MB – The Dean of Brandon University’s internationally-renowned music programming has accepted a new challenge – alumni engagement, fundraising, and partnership building. Dr. Michael Kim, Dean of the School of Music, has been named Acting Associate Vice-President (External), and will oversee the University’s community campaigns including the current Score a Seat initiative to raise the final dollars for the Healthy Living Centre. Dr. Kim will also maintain his role as Dean of the School of Music. 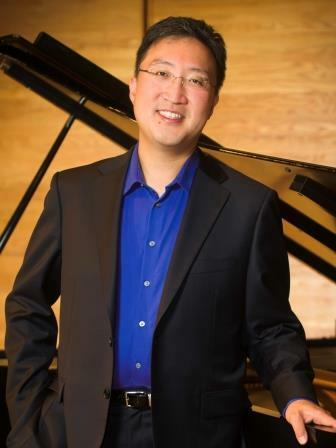 Appointed Dean and Professor of Music at Brandon University in 2008, Dr. Kim holds a Doctor of Musical Arts degree from the renowned Juilliard School in New York, one of the world’s leading music schools. The recipient of countless awards, Dr. Kim has performed in every major Canadian city, and throughout the US, UK, South America, and Asia, including featured engagements with such prestigious ensembles as the Boston and Cincinnati Pops, Royal Scottish National Orchestra and the BBC Scottish Symphony, and repeated concerto engagements with the major orchestras of Canada. He was recently appointed by the Manitoba government to the Board of Directors, Manitoba Arts Council. Dr. Kim will serve as Acting Associate Vice President (External) until August 30, 2015. Plans to fill the position on a permanent basis will commence in the spring of 2015.